The holidays are over, the Christmas atmosphere is fading away, and we’re slowly returning to our everyday work life routine. However, the last phase of the winter holidays, Christmas tree disposal, is still waiting to be done. Each year after Christmas, one hundred thousand Torontonians get rid off their withering Christmas trees, and the City of Toronto faces the problem of overflowing bins. Here are several useful tips on how to recycle your Christmas tree and how to dispose of it properly. There are many smart solutions on how to reuse or recycle your Christmas tree on your own. For example, you can create a bird sanctuary. If you are a bird lover or photographer and you have a bird feeder, stake the whole tree right next to it, providing shelter from icy winds and predators for your little friends. Cut the branches and trunk into small pieces and put them into a tree chipper to create your own wood chips for mulching garden plants, filling in pathways, or adding it to your compost pile. You can also use the uncut branches to provide protection to tender young plants or even perennials during winter. Moreover, if you have a small lake or a pond on your property, you can also dispose of the tree underwater. This will create an excellent habitat for fish and other animals, or even plants. An average-sized tree should provide about 13 pounds of firewood, so if you don’t know what to do with your Christmas tree, use it for warming your home. In addition, the needles from the branches can be put into decorative bowls and cups together with cinnamon sticks, cloves, dried fruit, or flowers creating unique, eco-friendly, and aromatic potpourri that will retain the holiday atmosphere in your home. The City of Toronto is expecting to collect between 2,000 and 2,500 tonnes of trees this holidays. 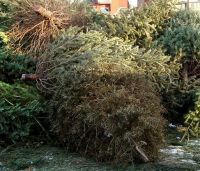 Natural Christmas trees will be collected in January (from the 6th to the 23rd) on residents’ scheduled garbage collection days. 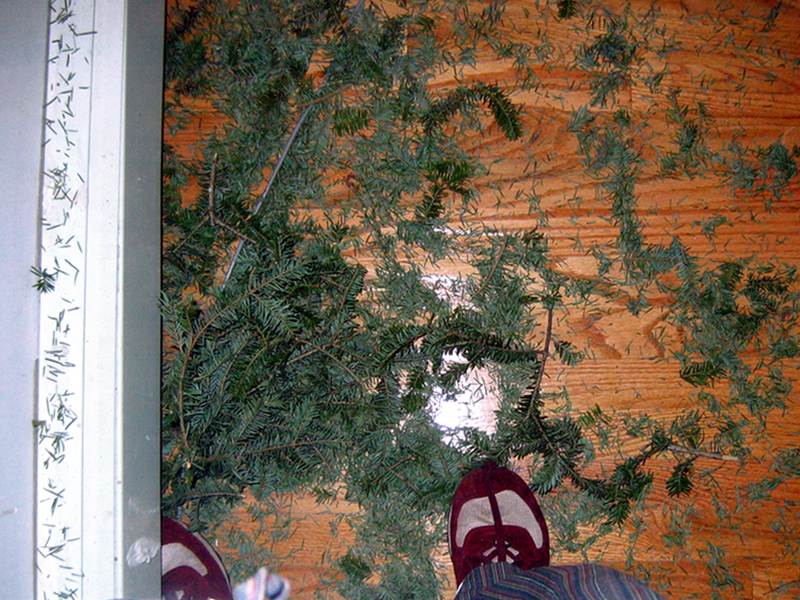 Discarded trees should be stripped of all decorations and left unwrapped on the curb. Trees from multi-residential buildings will be collected in bulk over the whole month. I work for a company called EZ Tree that will dispose of your Christmas tree for you! For only $30 one of our trusted Grinch staff will quickly bag your tree, vacuum any fallen needles and remove your tree without any mess. Just make sure the decorations are off by the time they arrive. 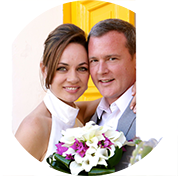 This service is available for residences & condominiums as well as commercial buildings. Thanks for stopping by! Sounds like an interesting service. Do you dispose of the trees ecologically i.e. not burning them? Some of our trees are donated to local bird sanctuaries to be stripped down and used for birdhouse posts & shelters, while the rest are taking to a compost facility just outside the city to be mulched and reused to replenish soil in local landscapes, parks, & schools. If you visit our site at http://www.eztree.ca, you can see a news story CityTV did on our service.